All the world really is a stage with LEGO Friends Andrea’s Heart Box. 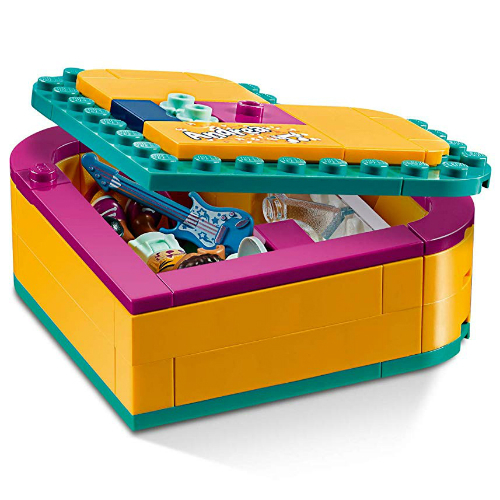 Build the box and performance-loving Andrea can go wherever you take her. 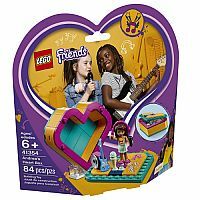 Included is a microphone, guitar, headphones and a speaker so LEGO Friends Andrea can bring music and fun wherever she goes. This is a true travel set, as every element fits into the heart-shaped case and the lid keeps all the pieces together. 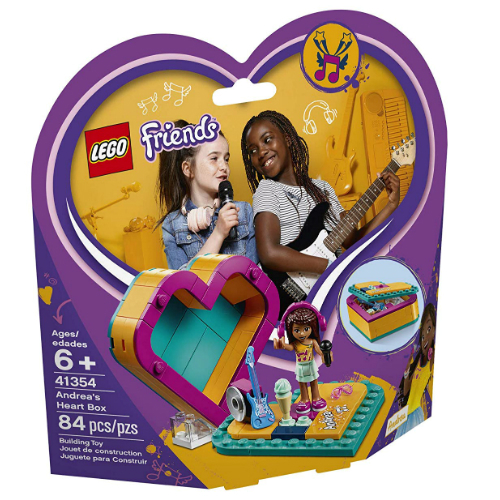 Remove the lid to use it as a stage for this little Heartlake City pop star—perfect for play on the go. 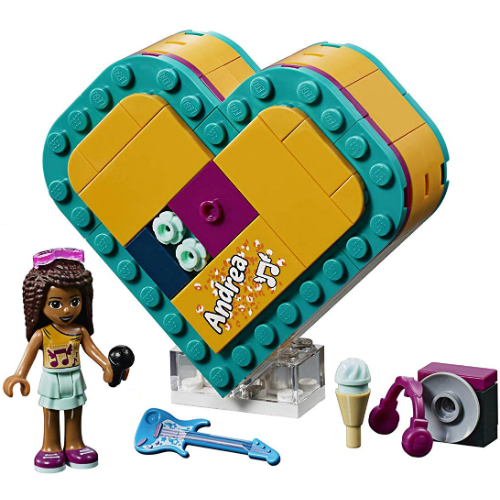 Includes an Andrea mini-doll figure. 84 pieces. Measures approximately: 6.75 x 7.50 x 2.50 inches..